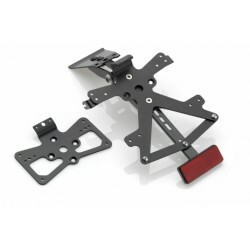 Rizoma Fox License plate support for CB650F. Made in aluminum cut in the mass, light and easy to install, it is supplied with LED plate lighting and reflector. 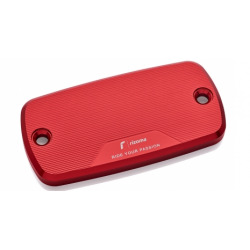 Rizoma brake fluid tank cap for CB650F / CBR650F. High-end aluminium part, two colors available.